In the United States during the 1930s, the energy market was so regulated that it created monopolies out of the utility companies. The government strictly enforced a rate cap on energy prices, leaving some users in energy plans that did not benefit them. Over the past few decades, however, that has begun to change. Some state governments across the country are in the process of creating legislation to disband the monopolies and give consumers the right to choose their energy supplier. Though varying state to state, this is allowing some customers to choose their plans, prices and customer services options, rather than being wedged into scenario of having only one energy company to choose from. Some deregulated energy states have all the various energy types broken up; while some, it is only a partial deregulation. Deregulation or energy choice doesn't just help in choosing a better plan, it opens the doors for people to choose a gas supplier or electricity supplier that suits their needs and views. More people can now focus on conserving energy by choosing a company that offers specific plans that meet their everyday needs. And with over half of the United States' renewable energy sources being used to produce electricity, this is very welcomed news for some people. The deregulated energy states also have another benefit in their efforts to try to provide customers more of a choice. 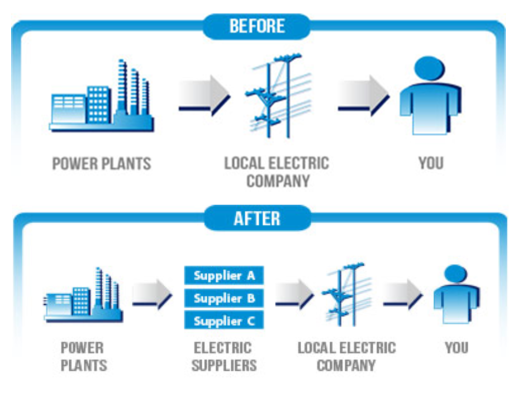 Because people can choose their own energy companies, it helps create income for small businesses and larger companies. This can then be used to possibly invest in future renewable energy sources or the education of conserving energy. While deregulation or energy choice increases to more states, there will be no drastic changes to a customer's energy services, other than a different energy supplier. 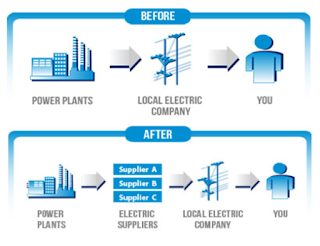 Energy choice can provide major benefits to consumers and businesses alike. To learn more about deregulated energy states, please visit starionenergy.com. Between computers, data centers, lighting, appliances, heating and air conditioning, businesses require a high amount of energy to function. This can lead to steep energy bills from the electric company and a significant environmental footprint. Energy saving technology and techniques can curb this cost, leading to a greener, more energy efficient home and workplace. Follow these simple tips to save energy in your business and home. Schedule an energy audit. An assessment of your current energy consumption is a great place to start, as it will point to your specific problem areas. Depending on the nature of your business, you might only need to update specific aspects of your space to be more efficient. Be sure to take the energy professional's advice seriously. Use natural light. By installing skylights and windows, you can rely on sunlight rather than electricity to light your office or commercial space. Reducing energy costs and consumption, natural light will also create a more pleasant working and living environment. Control air leaks. If you have skylights and windows, be sure to check them for air leaks. You might find that inefficient seals are causing you to waste heating and air conditioning energy. 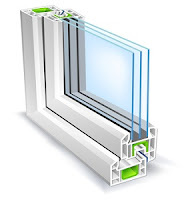 Basic window repair and inspection can keep as much air inside of your home/building as possible. Switch to solar energy. In addition to providing natural light, the sun is also a great renewable energy source. By installing solar panels, your home and business can cut down on energy costs significantly. This will make the initial investment worth it. Install energy efficient appliances. By switching to energy star rated appliances, your home and business' savings will add up over time. Consider switching your traditional light bulbs for halogen incandescents, as these can reduce energy use by a third to 80%. When making the choices about which appliances to install, be sure to keep your energy audit in mind. By making small changes to the way your home and business consumes energy, you will notice lower electric bills overall. Being mindful of your energy use will lead to a more energy efficient home and workplace. 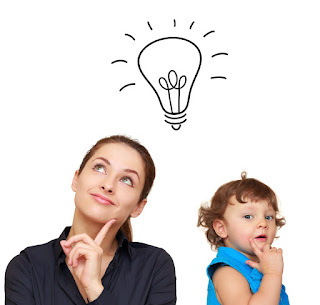 We're always looking for ways to conserve energy and lower utility costs in our homes. Not only that, but we want every dollar to go towards keeping us warm and cozy in the winter and cool in the summer. One of the solutions we don't typically consider has to do with our windows. We know we can shut them and keep the heat in, but not many of us know there's a way to go beyond that to save on energy costs even more. It was easy about 150 years ago for wood to supply nearly 90% of the nation's energy, keeping costs down nice and low. In the modern age, that just isn't feasible. However, when you consider switching to energy saving windows, you may be able to cut down your personal energy costs. Here are three treatments you can give to your windows to save on your next energy bill. 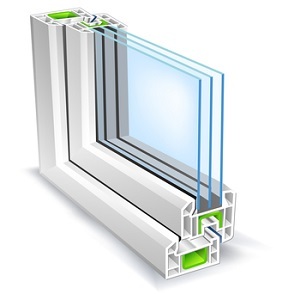 Using triple glazed vinyl windows is an excellent way to save energy inside your home. Not only do they keep the heat in, but they actually draw in solar energy from outside to lock into your house as well. These energy saving windows are well-made and strong, keeping your house warm during cold weather and cool during hot weather. 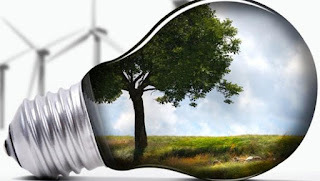 They provide top of the line energy conservation for your home. While this concept of gas trapped between glass panel windows may seem odd to people, these treatments make energy savings go through the roof. The gases used are either argon, xenon, or krypton, and they are sealed between the panes to prevent condensation. These windows are excellent when it comes to storing energy, though their costs might vary depending on what type of gas is used. Similar to triple glazed vinyl and gas-filled windows, the wood is treated to prevent any excess energy from leaving the house and costing you more money. Also, wood frames tend to have a lot more character, and you can never go wrong with an attractive wooden frame. No one wants to find out their well-earned cash is flying out the window. If you're trying to find some new ways to save a couple extra bucks this season, give energy saving windows a shot and see if you like them. Every day, we are looking for more ways to save energy to help our environment. We turn off lights when we're not in the room, shut off faucets when we don't need water, and recycle things for various uses so they don't go to waste in landfills. About 10% of the total energy consumption in the U.S. was from renewable energy in 2015. That may seem acceptable, but there is definitely room for improvement. So, if you are a teacher, school administrator, or even a student, simply follow these tips to help conserve energy in your school today. The most obvious thing you can do when it comes to electricity conservation is to turn off all lights when they're not in use. As a reminder to turn off the lights, try hanging up little signs next to light switches. Use energy efficient or LED bulbs instead of the traditional bulbs. Run lessons and experiments on energy conservation in your classroom, so all your students and colleagues can understand it better. The more people understand its importance, the more serious they'll take turning off the lights. Set the thermostat to a reasonable temperature to ensure a level of comfort for both teachers and students. Fans can also help cool a room down. This way, you are saving energy by not relying on air conditioning. Programmable thermostats can also help you keep track of a temperature in a room. Assure your computers are able to go into sleep mode when not in use. Turn off monitors if the computers are not going to be used again for a while. And always check to be sure all the computers are off at the end of the school day. Computers take up a lot of energy, so limiting their energy use anyway you can is good. Schools are a powerhouse of energy usage, from lights to heating to the various tools of the trade used to teach a child. It can be difficult sometimes to figure out how to reduce energy costs, but many energy saving ideas, even as insignificant as they may seem, can help make your school and the environment more energy efficient.